With the help of IKEA & Semihandmade, we design, install and build custom kitchens, bathrooms and more to create the home of your dreams! What is IKEA & SemiHandmade? Semihandmade makes custom cabinet fronts for IKEA kitchen, bathroom, media and storage cabinet systems. Semihandmade is not affiliated or associated with IKEA in any way. All Semihandmade doors and parts are 100% after-market and meant to accessorize IKEA cabinet systems. The biggest difference is Semihandmade fronts and panels are 3/4 inch thick, and IKEA’s are 1/2 & 5/8 inch thick. Unless requested, Semihandmade panels are over-sized to account for irregularities in walls, floors and ceilings. They are meant to sit slightly past or “proud” of the cabinet facing for the most built-in look. Quality, flexibility and cost. It’s hard not to be impressed with the quality of IKEA’s sturdy cabinet drawers, frames and hardware. The flexibility that IKEA provides, lets you buy their cabinets frames without doors, drawer faces or panels, so you can accessorize them with custom fronts. Lastly, the Cost for IKEA cabinetry accessorized with custom Semihandmade fronts, will save you compared to the cost of typical custom cabinetry. The IKEA / SemiHandmade (SHM) installation typically starts when a meeting is arranged to meet with the client. During this meeting we will cover the proposed project, identify potential building code issues, measure the existing area, offer any suggestions towards design/lay out. A building permit is almost always required for these projects (Please continue reading to learn more). After meeting with the client and learning what the expectations and ideas are, a design is created on the IKEA Planner website. This design consists of the IKEA frames and fronts available for each cabinet, hardware for each cabinet and a cost breakdown from IKEA. The IKEA Planner will produce an elevation for each face of the project as well as an overview. Your design will be saved on the IKEA Planner website which is then shared with a designer from SemiHandmade (SHM). Depending on my work load, I will usually design the project on the IKEA Planner at no cost. If I am not able to do this, I have a designer who will provide this service starting at $300 per design. 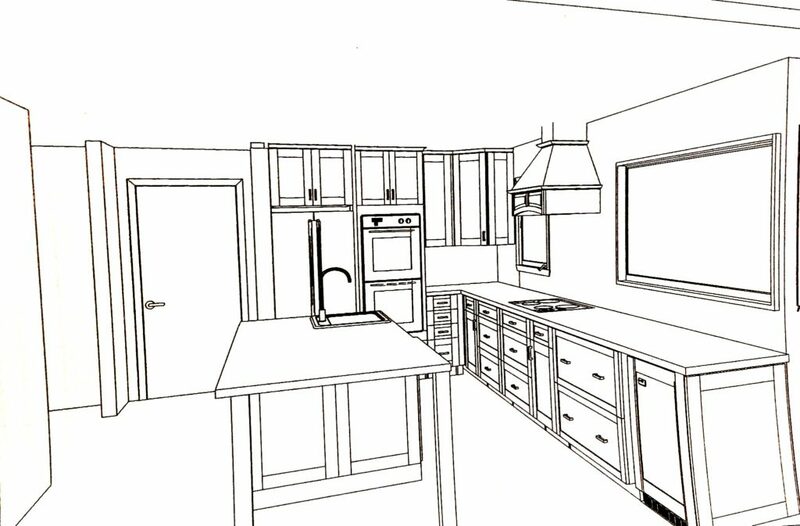 I will oversee the design process and act as the liaison for the client. Once the approved design is sent to the SHM designer, an estimate between you and SHM will be generated listing which cabinet fronts (doors and drawers), panels, fillers and toe kicks will be needed for the project. The SHM designer and I will be in constant contact to ensure all aspects of the project have been covered and all pieces of the project are listed on the inventory list. Once the estimate is accepted with SHM, a contract from SHM will follow. A deposit is usually required for the production to begin and it takes approx. 5 to 6 weeks for completion. The SHM products are packaged and shipped to the project site. Prior to the SHM shipment, a trip to an IKEA store will be necessary to purchase the frames and hardware for the project. Since your design has been saved on the IKEA Planner, the frames and hardware necessary for each cabinet is readily available when you login to one of computers in the kitchen cabinet area of the IKEA store. I will be present during this IKEA visit to guide you through the process and ensure that everything goes smoothly. Depending on the scope of the project, my involvement may grow because most projects require a building permit. Technically, any kitchen or bathroom renovation, will require a building permit as most homes will need a building code upgrade (especially when changing the layout that may have structural concerns). 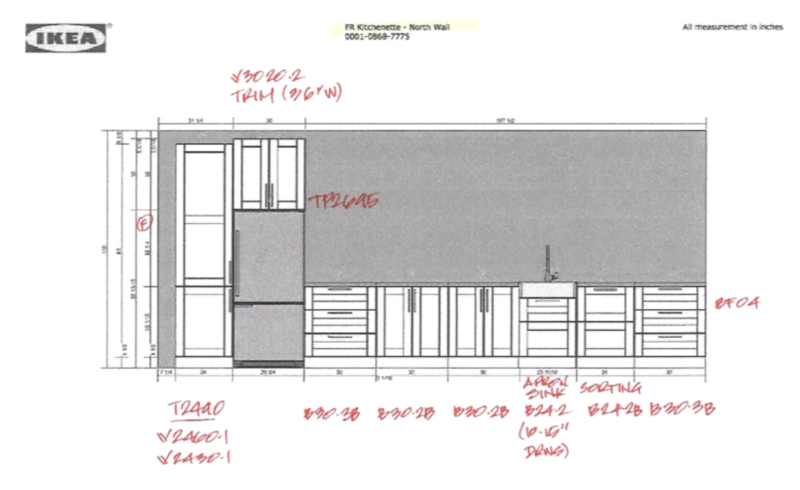 The IKEA/SHM design is not used when applying for a building permit. There are two options you have when submitting items for a building permit, 1.) use a drafter who can produce existing and proposed floor plans, trade details, order Title 24 Energy reports and meet with an engineer to discuss all structure related questions and provide framing details for the plans, 2.) hire an architect who can also draft the floor plans and send the plans to an engineer for review and supply more details on framing structural issues, if needed. I have had clients use both options. Depending on which path you choose I have excellent referrals for both upon request. Once you have made a decision, I will arrange and be present for all meetings. We would love to hear about your upcoming project! Whether you need answers regarding your project, a consultation or you need us to provide you with an estimate simply fill out the form and we will get in touch with you in the next 48 hours. If you have notes from your designer that look like the above photo please upload in the "Designer Written Notes" section when completing the form. Please include any drawings you have from the designer when completing the form. Are you starting the project from scratch? Has your project been measured & designed on the IKEA planner? If you are working with a SemiHandmade designer, please provide their name.  Are you currently working with a General Contractor?